Is it that time yet? Are we allowed? Ankle boots are a staple in my wardrobe and with an English summer coming to a close I’m already on the look out for this winters ankle boots. I shouldn’t be wishing my summer away but I do love wearing little ankle boots so much! I usually choose my ankle boots based on what will go with most outfits, usually ending up with a brown and black pair. One is usually for very cold and wet conditions, easy for walking in and wearing all the time with lots of grip. The other a little more fun and flattering with a chunky heel or cut out detail. Here are a few pairs of ankle boots that have just come out, have caught my eye and made it onto my boots wishlist. I love black boots with a little gold detailing, great for throwing on with either jeans or a dress. 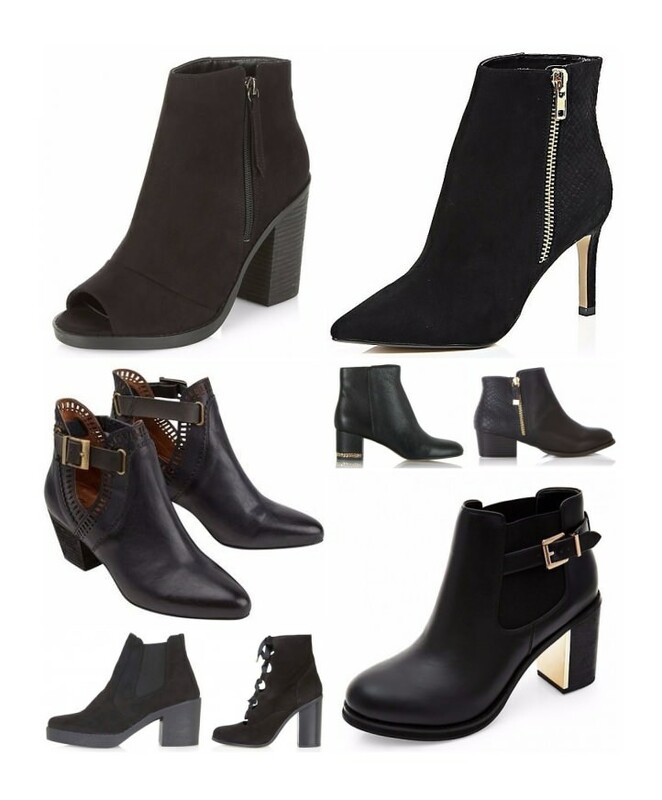 As you can see my Boots wishlist currently features some gorgeous pairs of black boots, I especially love the fun new cut out details such as the Joe Browns Black fabulous cut out ankle boots, the Topshop MAGPIE Ghillie Ankle Boots or the more simple New Look Black Peeptoe Block Heel Boots. Don’t forget if you missed it to check out yesterdays post, my Glossybox Unboxing UK August 2015 video!